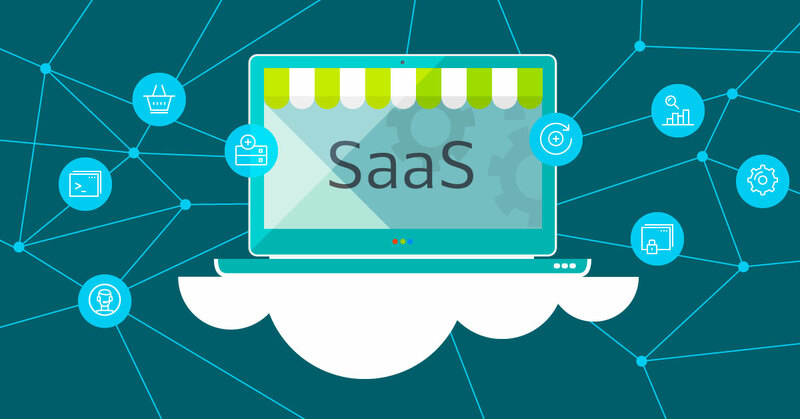 SaaS is an abbreviation which stands for Software as a Service. Such an application enables you to create your online store quickly and easily. SaaS services are comprehensive solutions including everything you might need to start a business in the field of e-commerce. Such a platform covers a wide range of features and includes a hosting service, technical support, expert consultation, regular updates and new features released. It includes hosting and infrastructure especially built up and optimized for the purpose. By choosing SaaS for your online store you get a complex solution with hosting space included. One of the most significant advantages of this software is the custom-built, cloud-based infrastructure. It is optimized accordingly to the platform, providing maximum performance of the store. You also get monitoring and 24/7 technical support. This provides you with the safety and security that your e-store is supported by a team of specialists taking care of its proper operation all the time. Marketing tools for boosting sales. SaaS offers all of the abovementioned. Get all new features, developed for Shopiko and included in your plan for free! Another popular belief is that having an online store requires serious investments. Investments, however, might be related to your project’s scale and its purposes. In most of the cases, if you select a SaaS solution for your online store you will get the chance to optimize your costs. You have just stumbled upon the most suitable products for developing your business. You would like to start selling them online. You have a budget of BGN 1.000 at your disposal. Is it possible to build an online store with this budget? The answer: Yes. And that is not all. You will also be able to advertise with Facebook and Google Ads during the first month. With initial investment of BGN 1.000, by using BGN 429 you can get annual subscription for a Shopiko store (as currently there is а promotional offer if you prepay for a year). After purchasing such a plan you will be left with BGN 571 for an advertising campaign and promoting. With initial investment of BGN 1.000, test Shopiko's plan Business Store which will cost BGN 69,75 for a month. After purchasing such a plan you will be left with BGN 930,25 for an advertising campaign and developing your store. Quickly start your online business. Invest more in advertising and focus on attracting more visitors to your online store. One of the main concerns for online sellers is often worrying if they can easily manage and use the e-store platform. The seller is always a main figure in building up an e-store. The admin panel structure, menu or submenu order and options are usually customized so as to be accessed with a few clicks. Look through the admin panel when you are choosing the best platform for your needs. Check if there is detailed enough help documentation for the e-store's features. Try adding products, categories and enabling modules. It is important that you are able to manage the store on your own. This should be as easy as using Facebook! Teams working on such services closely follow the market and develop new features based on current and future trends. They focus on developing options useful for as many as possible online sellers while helping them increase their sales and constantly update their online stores. Those people will answer your questions and guide you through using different features according to your business requirements. They will consult you on structuring your store, selecting layout as well as the working solutions you can apply. Tip: Also check out the other posts in our blog concerning SaaS solutions if you consider using them. When you choose business partners and plans it is vital to work with experts and people having the required expertise in the field. They will help you with useful advice or a solution of cases which otherwise might take you lots of valuable time. You do not want to think about developing, embedding features, security, etc. You would like to focus mainly on sales, products, dealing with customers and marketing your business. You would like to start selling as soon as possible and need an online store as soon as possible. Your budget is tight and you do not have the opportunity to invest loads of money to create a store. You have an idea, you want to test it online and need an easy solution. You are looking for a user friendly, convenient and workable solution for an online store. You have an outdated online store you would like to update by taking advantage of contemporary features and opportunities for increasing your sales. You probably need an оnline store or plan to create one very soon. Do not wait any longer, but take advantage of the 14 days free trial offered by Shopiko.